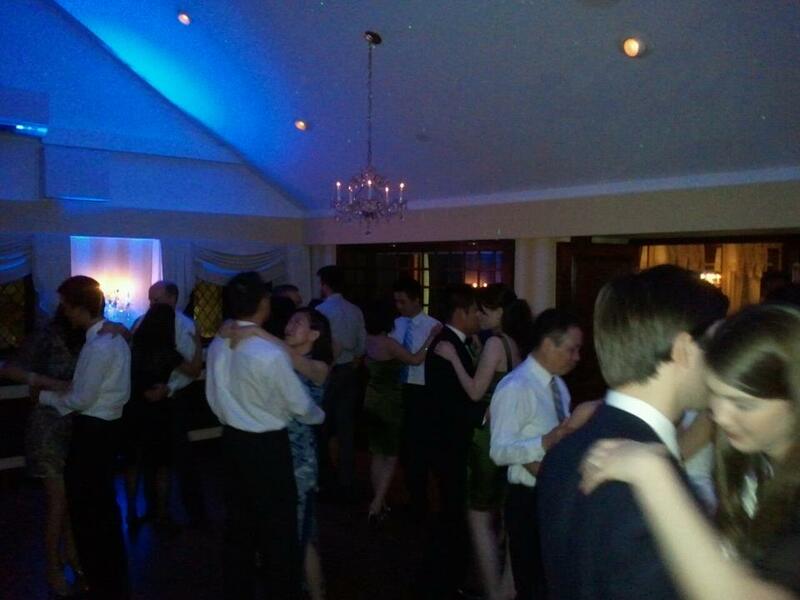 On Sunday October 9th, Ambient DJ Service returned to the Nassau Inn for the wedding reception of Steve and Julianne. The couple booked us relatively late after learning about our services at R. Mario Fine Clothing in the Princeton Forrestal Village (R. Mario is the only menswear/tuxedo shop that we recommend!). After providing music services at the offsite ceremony in Princeton, the reception party commenced in the evening on the second floor of the Nassau Inn in what is known as the Palmer and Witherspoon Rooms. The Palmer Room is a cozy dining room, and the Witherspoon room is a connected room with a space for the DJ and dancing. DJ Gregg Ambient and DJ Spinz provided a tag team effort for this celebration. For lightscaping, we provided blue uplighting via Chauvet Color Strips, and staying in a similar color scheme, projected moving clouds and twinkling green laser stars onto the ceiling using an effect known as the Bliss Lighting Effect or "Dancing Under the Stars". Sunday evening weddings can sometimes be duds, as guests are tired or else focused on returning home to get ready for work on Monday morning. In the case of Steve and Julianne, despite being Sunday - and despite the fact that we were somewhat disconnected from the guests, the dancefloor action was excellent all night long! During dinner, guests enjoyed a slideshow of Steve and Julianne's professional photo shoot. Congrats to the new Mr. and Mrs. Chen! 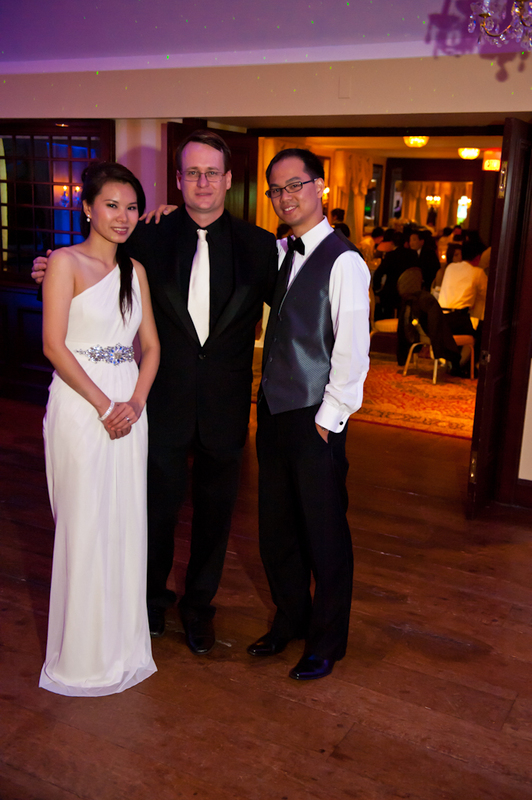 Thank you Steve and Julieanne for entrusting us with your special day! Special thanks to photographer Dariusz Kobajlo from JDKProPhoto who provided photography on a very special day in his own life... his 40th birthday - what dedication! (the photo immediately below is courtesy of Dariusz). DJ Gregg Ambient poses with Julianne and Steve! DJ Spinz & DJ Gregg Ambient is always a winning Combo! 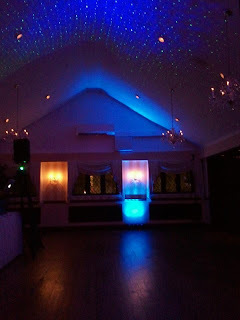 Ambient DJ Service is mobile DJ entertainment company based in the Princeton, NJ area that provided customized, unforgettable wedding DJ services for its clients. 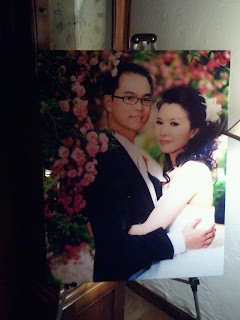 Please visit us on the web at www.ambientdj.com. 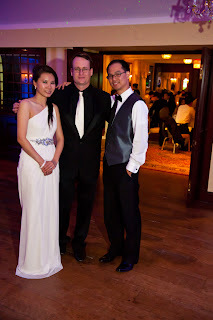 To read about another one of our unique Nassau Inn wedding receptions, visit this link.